Minocycline is commercially available as a tablet/capsule 50mg, 75mg, 100mg, tablet ER 45mg, 55mg, 65mg, 80mg, 90mg, 105mg, 115mg, 135mg and IV solution reconstituted 100mg. Minocycline is a semi-synthetic tetracycline antibiotic that has many similarities with doxycycline. Minocycline may be used orally (dogs, cats, and horses) or intravenously (dogs and cats). Tetracycline antibiotics are broad spectrum and bacteriostatic. Their mechanism of action is through the inhibition of protein synthesis and the alteration of cytoplasmic membrane permeability within the susceptible organism. Minocycline has increased penetration into bacterial cells and increased pharmacologic activity when compared to tetracycline. It is effective against a broad spectrum of gram-negative and gram-positive bacteria, and a wide variety of other organisms including Rickettsia, Spirochetes, Mycoplasma, and Chlamydia. In addition to its use as an antibiotic, minocycline is used in low doses as an anti-inflammatory and adjunct treatment for arthritis and degenerative joint disease in dogs and horses. This use is based on the inhibition of matrix metalloproteinases. Minocycline is well-absorbed after oral administration, and its absorption is minimally affected by the presence of food in the stomach. It is less disruptive to normal GI bacterial flora than tetracycline. Minocycline may be used in animals with decreased kidney function because it is extensively metabolized via the liver, and then primarily excreted as inactive metabolites in the feces and urine. Minocycline is used in dogs to treat susceptible bacterial infections and infections caused by Rickettsia, Canine ehrlichiosis (anaplasmosis), Toxoplasma, Borrelia burgdorferi (Lyme disease), Leptospirosis, and Neorickettsia helminthoeca (salmon poisoning). Minocycline is used in cats to treat susceptible bacterial infections and infections caused by a number of other organisms including Bartonella, Mycoplasma, Dermatophilus, and Mycobacteria. Minocycline is used in horses to treat susceptible bacterial infections and tick-borne diseases such as Ehrlichia, Anaplasma, and Borrelia burgdorferi (Lyme disease). There is some research that suggests that oral minocycline may have superior bioavailability and reach higher tissue-concentrations in horses when compared to oral doxycycline. There is a great deal of research interest in the use of both doxycycline and minocycline for the treatment of osteoarthritis in performance horses. Although the precise, effective dose is not clear at this time, it would appear that both doxycycline and minocycline protect against cartilage degradation at a dose that is considerably lower than the antimicrobial dose. Preliminary studies also indicate that minocycline may be more effective than doxycycline for the treatment of osteoarthritis. This is an area of active research and recommendations may change. Oral: The most-common side effects in dogs and cats are GI upset, including nausea and vomiting. In order to minimize GI side-effects, minocycline is frequently given with food. Dogs and Cats: Intravenous minocycline should be administered slowly to minimize the incidence of side effects. Possible side-effects include urticaria, hypotension, difficulty breathing, cardiac arrhythmia, and shock. Rare side-effects include ototoxicity and elevated liver enzymes. Tetracycline antibiotics should be avoided in pregnancy and nursing because there is a risk of fetal skeletal limb abnormalities and discoloration of teeth. Tetracycline antibiotics are excreted in maternal milk. Tetracyclines should not be administered to animals less than six months old. Minocycline and doxycycline may pose less risk than tetracycline, but the possible risk should be considered during pregnancy and lactation. There was no information found regarding the use of intravenous minocycline in the horse. 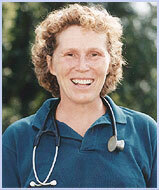 Intravenous doxycycline is not used in the horse due to the risk of fatal cardiac arrhythmia. Dosing of oral minocycline should be separated from any oral antacids, bismuth, kaolin, or pectin containing products by one to two hours. Oral iron also interferes with the absorption of minocycline and should be given three hours prior or two hours after minocycline. Minocycline and other tetracycline antibiotics are generally not used with bactericidal antibiotics such as penicillin, cephalosporin, and aminoglycosides. Tetracycline antibiotics may change clotting times. Animals receiving warfarin may need additional monitoring and downward dosage adjustment. concurrent use of minocycline and isotretinoin may increase the risk of CNS side effects. Oral overdose of minocycline in most instances will cause pronounced GI distress. Oral antacids may be helpful to decrease gastrointestinal symptoms. Supportive care, including intravenous fluids, may be necessary.